If the Lexus Sriracha IS wasn’t your flavor, Toyota’s luxury division has built another one-off sedan that should get your attention, and possibly the attention of astronauts in low Earth orbit. 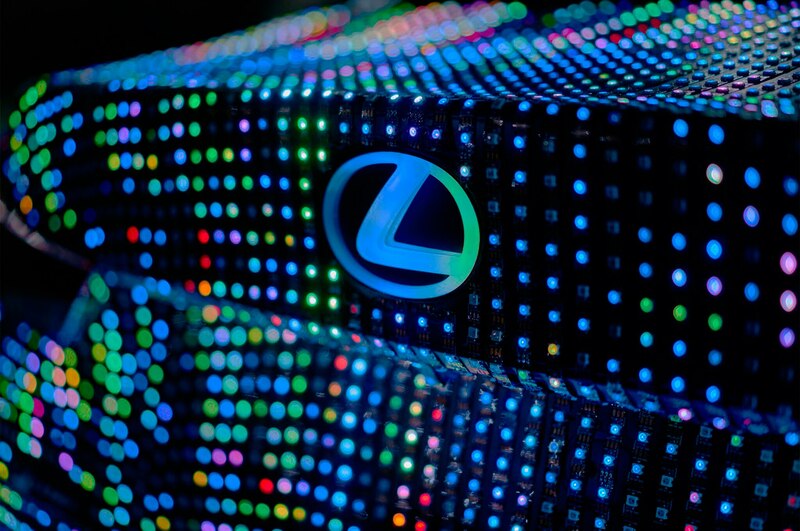 The Lexus LIT IS uses 41,999 LEDs to display graphics, pulse in time to music, and respond to human gestures. 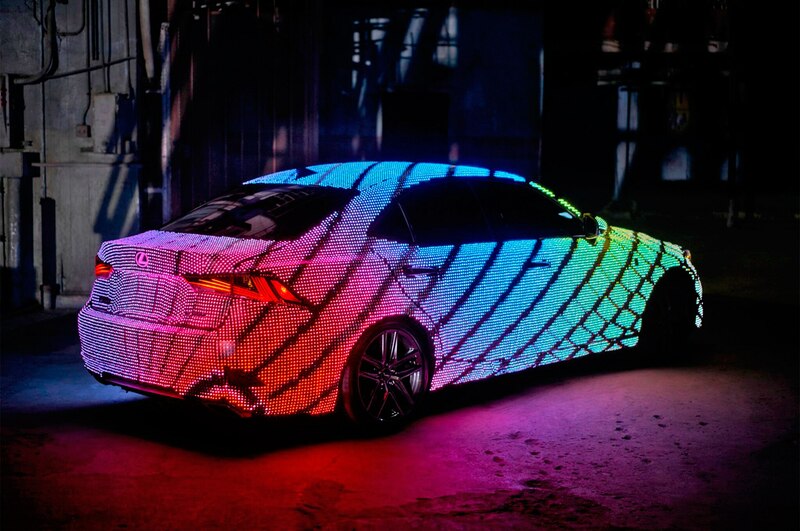 Built in collaboration with online music distributor VEVO, the LIT IS started life as a 2017 IS sedan, but was wrapped in programmable LEDs to turn it into a rolling screen. The LEDs were applied by hand and required 5,280 feet of wire. 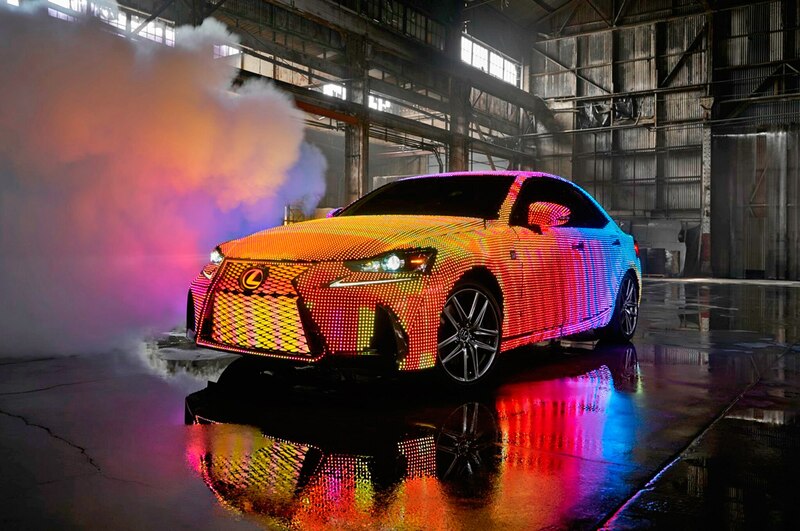 If the strips were placed end to end, they’d extend nearly half a mile, according to Lexus. When all the lights are fully lit, the car produces 175,000 lumens. 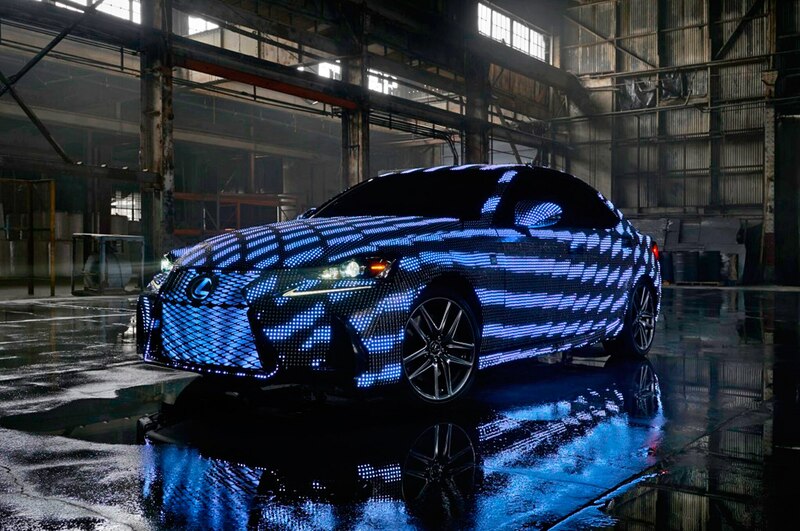 In a video, Lexus demonstrates how the lights can react to certain gestures. 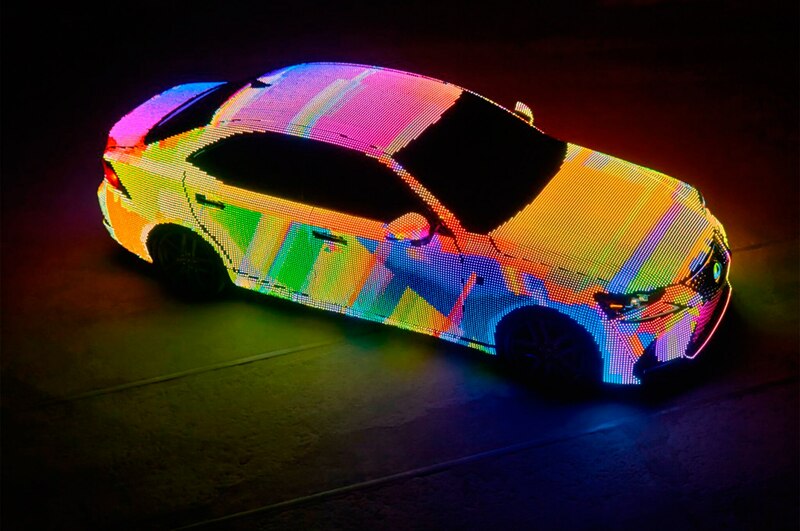 For example, a pushing motion sends a ripple through the car’s body, changing the lights’ color as it passes. 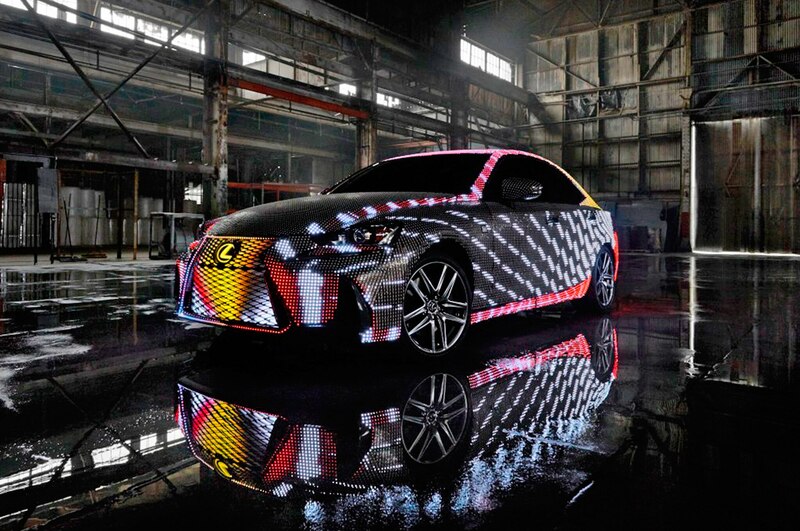 The car can also illuminate and pulse in sync to music, displaying custom animations to the beat of your favorite song. The LIT IS stars in a new music video by U.K. artist Dua Lipa, alongside actor Ansel Elgort of “Divergent” fame. Check out both videos below to see the LIT IS do its thing.